Vector lettering illustration eps 10 for international day of the seals. 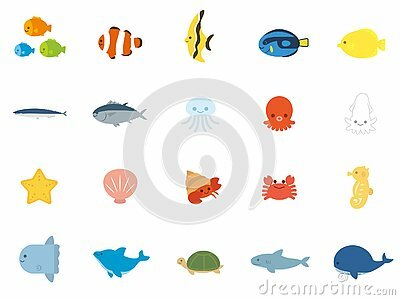 Vector - Corral and fish cartoon illustration. Sea vector illustration. Seamless vector pattern Sea and river cockleshells of different types and forms.